Time for another 411 Alert from The Love Riot! We know its been a little while since our last post, probably because we have been blessed with a number of incredible clients to take care of, but we are back on the wagon for a topic near and dear to our hearts…Trusting Your Vendors! Okay, so not only is your wedding day the most important day of your life, but you are likely spending a significant amount of dough (or your parent’s dough) to ensure it is an amazing celebration. Aside from the venue, you are going to be hiring a slew of wedding vendors to contribute to the success of the day. As you start this process of interviewing and signing contracts, we would really like to take the opportunity to speak on their behalf, and on our own here at The Love Riot, to share with you what a lot of these vendors may not be comfortable putting out there. And please understand, this is solely with the intent of making your wedding planning process so much more fun…so here we go!! We as wedding professionals often dedicate 40+ hour weeks to doing what we love. We eat, sleep, drink and breath this stuff. This passion of ours sometimes keeps us up at nights dreaming and planning or gets us up super early in the mornings as we excitedly take on the next thing on our to do list. A lot of us have been working in the wedding industry for years and have encountered everything under the sun in terms of scenarios. In the same way that you don’t pretend to know what’s wrong with your car when it is making funny noises, you take it to a specialist. We are specialists at what we do because we take pride in being that very thing! We have spent a lot of time developing relationships and working with other pros in the industry. Because of this, we know who is reliable, who’s work is killer, who provides the most options, who is the best value, etc. As wedding planners ourselves, we also know how to bring all those people together to form the ultimate “A” team. We completely understand how difficult it is for some of you to let go of the reigns of control. After all, this is the most important day of your life and you can’t let ANYTHING go wrong…right? Well, here’s the thing, remember that the very vendors you hired to take care of the different elements of that day are seriously invested in its success. Beyond that, they are passionate (and proud) of their ability to provide that for you. There is a big difference between giving up control and giving input. We as your team of professionals welcome input. Input is valuable information for providing us with direction so that we can take our creativity and implement our talents. When you (the client) attempt to control each detail before the big picture is presented, you constrict us and additionally cause yourself more stress taking away from your ability to enjoy your ever-important day. You invested the money to have us take care of these tasks for you, so make sure you are not squandering your investment. 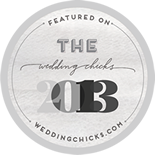 There are 10,000 different options out there in every category of wedding vendors. You will so easily get overwhelmed with the amount of choices so why not let us help you narrow them down significantly? Our lists of preferred vendors are not just friends we are trying to pimp out…they will only ever be people that we trust implicitly to provide the very best service based on our experience with them. We at The Love Riot hope these few pointers are helpful. Remember that professionals in this industry go into it because they are passionate about what they do and truly want to serve the clients they take on. The sooner you give them the freedom to do what they do best, the sooner you can focus on preparing yourself for the incredible adventure you are about to embark on with your significant other!! Cheers, now go start a Love Riot! !